Other photos: 70' Ocean Dock View, Profile Dock View, Bow, Bow, Foredeck, Stern and Aftdeck, Cockpit, Sink/Cutting Board/Engine Room Access/Rod Storage, Aftdeck Hatches Open, Sink, Cutting Board, Rod Storage, Aft Deck Transom Door and Livewell, Cabin Entry, Salon Starboard side Wet Bar, Main Salon, Photo 17, Dinette, Stairway to Bridge, Galley, Whirlpool Appliances, Galley Counter Refrigeration/Beautiful Flooring, Stairway to Berths, Junction to Berths, Full Beam Master Stateroom, Master Port Side, Master Starboard Side, Master En Suite Head Access, VIP Stateroom, VIP Forward Storage, VIP TV and Vanity, VIP En Suite Head with Shower, Port Side Berths, Port Side Berths-Entertainment, Desk, En Suite Head, Port Side Berths En Suite Head with Shower, Starboard Side Berths Bunks, Public and Private Access Head with Shower, Laundry Room, Kenmore Washer/Dryer, Mini Fridge, Vacuum, Bridge View From Stairs, Helm Seating, Helm Station, Bridge Sky Lounge, Sky Lounge Seating, Bridge Wet Bar, Flybridge Access Door, Flybridge Seating, Flybridge, Flybridge External Controls, External Bow Thruster, External Engine Controls, Engine Room Access through Aft Deck, Port Side Motor I, Port Side Motor II, Port Side Motor III, Port Side Motor IIII, Port Transmission, Starboard Side Motor I, Starboard Side Motor II, Starboard Side Motor III, Starboard Side Motor IIII, Engine Room I, Engine Room II, Engine Room III, Generator. 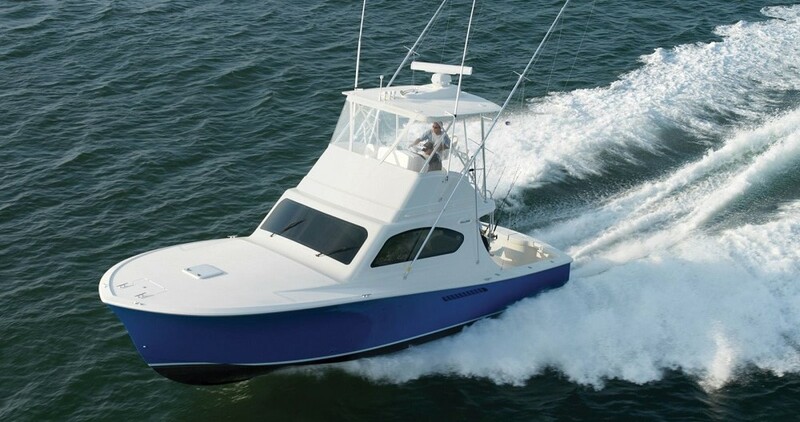 The 70' Ocean Sportfish, "ONE MORE TIME," truly captures sportfishing luxury on a grand scale. She is a privately owned vessel, used for owner's personal pleasure. She has never been chartered nor fished. "ONE MORE TIME" is very well-kept with low hours, and is in great condition! A must-see!